As a detective lieutenant with the LAPD, Peter Decker witnessed enough ugliness and chaos for a lifetime. Now, he and his devoted wife Rina Lazarus are ready to enjoy the quiet beauty of upstate New York, where they can be closer to their four adult children and their foster son. But working for the Greenbury Police department isn’t as fulfilling as Decker hoped. While Rina has adapted beautifully to their new surroundings, Decker is underwhelmed and frustrated by his new partner, Tyler McAdams, a former Harvard student and young buck with a bad ‘tude. 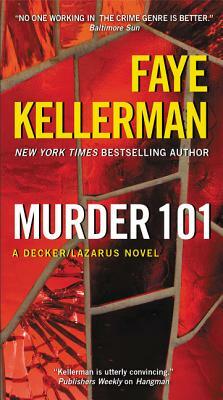 Just when he thinks he’s made a mistake, Decker is called to his first real crime here—a possible break-in at the local cemetery. At first, it seems like a false alarm until it’s discovered that a mausoleum’s stunning Tiffany panels have been replaced by forgeries. Then, a coed at one of the exclusive local colleges is brutally murdered. Poking into the hallowed halls of academia to find a killer, Decker and McAdams are drawn deep into a web of dark secrets, cold case crimes, international intrigue, and ruthless people who kill for sport. Suddenly, the job is anything but boring. This case just might be too much to handle and Decker will have to draw on every ounce of experience that he has garnered in the past thirty years as a Homicide cop. And then again, even that might not be enough!